Regardless of what Birthday it is, it'll always be the anniversary of your 18th Birthday! 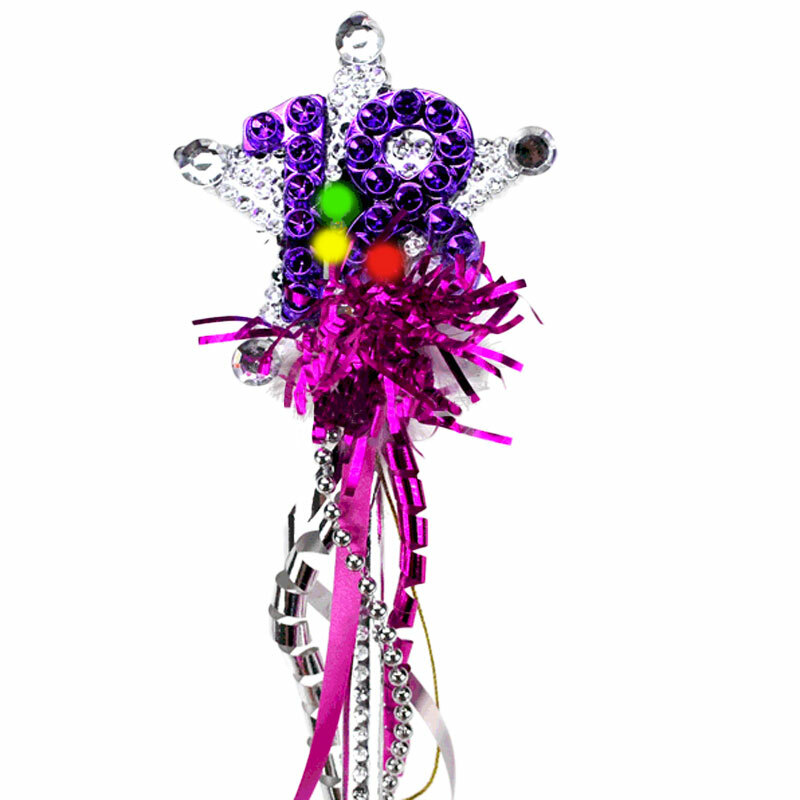 So grab ahold this Flashing 18th Birthday Wand and make your every Birthday wish come true. The Wand is covered in ribbons, glitter, and marabou feathers. The top piece is made of shiny, blinged out plastic and features Flashing LED lights.